Three central African governments say their armies have launched a joint offensive against Uganda's rebel Lord's Resistance Army. Uganda, southern Sudan, and the Democratic Republic of Congo say their forces attacked an LRA base Sunday in the Garamba forests of eastern Congo. A joint statement, signed by the three governments' chiefs of military intelligence, say the forces destroyed the main camp of LRA leader Joseph Kony and set it on fire. There was no immediate word on Kony's fate but the statement said the operation was still in progress. The LRA has waged a 20-year guerilla war against the Ugandan government. A 2006 cease-fire ended the fighting in Uganda but the group has become a regional threat, attacking villages and kidnapping people in the DRC, southern Sudan, and the Central African Republic. Kony and two of his aides are wanted by the International Criminal Court on charges of war crimes and crimes against humanity. Peace talks between the LRA and Ugandan government have made progress but Kony has failed to show up on multiple occasions for the signing of a final peace agreement. 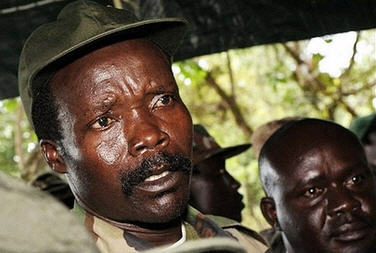 Kony has said he will not sign the deal until the ICC cancels its arrest warrant. But Ugandan army spokesman Major Paddy Ankunda warned last month that the Ugandan army was getting ready to attack the LRA, and that regional governments would hunt for him.